How do we galvanize our climate grief into action? Many people are paralyzed by their emotional responses to climate change. Research has shown that when faced with the size of the problem, many feel that their contributions to the solution won’t make a dent, which can prevent people from attempting to do anything at all. The impacts of climate change on natural and human systems will be unparalleled and unrelenting. Many of us are grappling with this truth and experiencing big, messy, crushing emotional responses. What do we do with that? How can we make it useful? 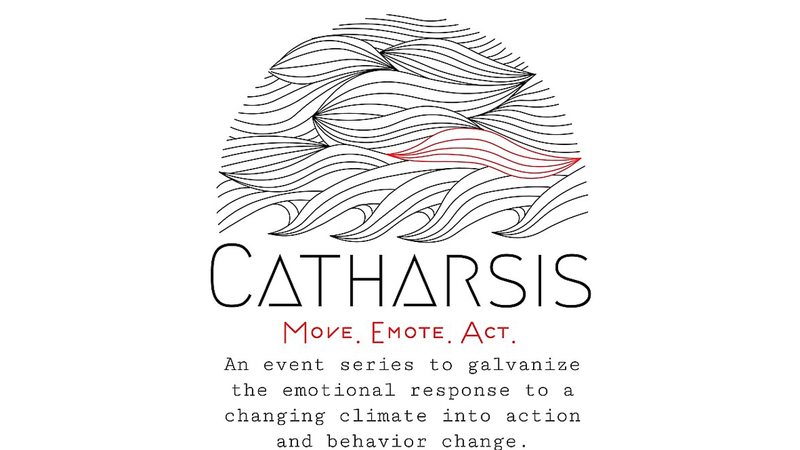 To help answer those questions, I’ve created CATHARSIS, an event series that will use dance, movement and improvisation to creatively acknowledge and process climate grief as a community. Co-produced by myself and co-lead Jasmmine Ramgotra, CATHARSIS will give people permission to emote outside of the framework of socially-acceptable grieving and to create in the face of loss. The event will unfold in three parts: Movement, Community and Action. The Movement portion will last an hour and will incorporate simple, accessible choreographed movements (we call them moving mantras) with intentional improvisation/exploration. The dance will be followed by a social gathering (Community), centered around sharing food, support, conversation and networking opportunities with local climate advocacy and conservation groups. Here, participants will also have the opportunity to donate or sign up to volunteer (Action). By creating a space to literally move our bodies, emote non-verbally and mobilize those immobilized by grief, CATHARSIS will help galvanize the emotional response to a changing climate into action and behavior change.